The first trailer for James Wan's Aquaman movie could be released online soon. 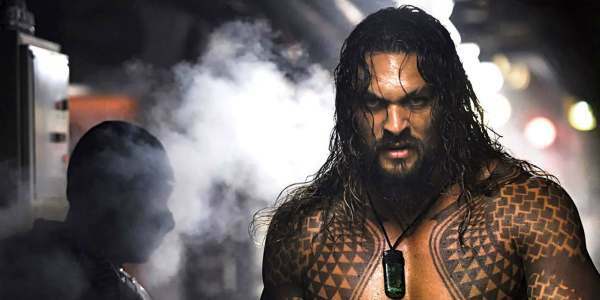 It's been reported by several outlets that the first teaser trailer for Jaman Mamo's upcoming Aquaman solo movie has been shown at CinemaCon. Director James Wan was joined by Jason Momoa (Arthur Curry/Aquaman) and co-stars Amber Heard (Mera), Patrick Wilson (Orm the Ocean Master) and Yahya Abdul-Mateen II (Black Manta) to discuss the film and present the first footage. However, the footage hasn't been made public. Deadline reports that the footage shown by WB includes Momoa, Amber Heard, and Patrick Wilson. It's rumored that the teaser will be released online soon, but considering the visual FX are described as "unfinished" it could be a while. Are you looking forward to seeing the first teaser?